After the less than positive post yesterday my thanks go out to John for this touching video. This is not pleasant information but I feel obliged to share the link below. Australian physician, author, and anti-nuclear advocate Helen Caldicott talks about the Fukushima nuclear catastrophe and what we can expect. Lucia and I chose to raise our daughters without television. We have no regrets. I love a good movie and I have fond memories of a few quality programmes I watched while growing up in Canada. The Waltons and MASH are two which spring to mind. The characters of John Boy and Hawkeye inspired me. There is little doubt that programming content helps to shape the world view of young people exposed to it. But we wished to give our children a world view based on a larger historical context. Early on, I read to them from authors such as Louisa May Alcott (Eight Cousins is a wonderful story and Alcott was mentored by Emerson and Thoreau), Charles Dickens and Frances Hodgson Burnett. The Secret Garden, originally written in 1910, is one of the most inspiring, touching books I’ve ever read. And the character Hodgson Burnett created in Dicken epitomizes why I believe we should minimize young people’s exposure to television and other electronic technology today. Dicken’s deep connection with nature and all her inhabitants was possible because he spent so much time outside establishing that relationship. Speaking of relationships, I’ve been helping Asha (18) with her most recent media studies assignment. She’s chosen to study the effects of television on relationships and she found a wide body of research relating television to increased violence and sexual laissez faire in the modern world. Not too surprising, is it? Modern education is based on the framework of the British public school system, itself established by industrialists of the Victorian era bent on producing skilled workers and managers for their factories. Today, the descendents of those ‘forward thinking’ industrialists continue to control the curriculum of schools around the world (as an example, the dead rules of Newtonian physics, rather than living relationships of quantum physics are still the norm in science classes in today’s public schools.) And they’ve added another medium with which to exert influence on the average human being today—television. The content of programming, the increasing frequency with which it is watched (for many children and young adults television viewing is their second most time-consuming activity after sleep,) the ubiquitous presence of television sets in homes and even work-places and airports, the news on channels like CNN coming at us around the clock and the bombardment of viewers with highly repetitive in-your-face advertising would indicate that commercial interests have a stranglehold on the beliefs and thinking of many young and old today. Human interactions, human relationships have modified under the onslaught of the flickering tube. 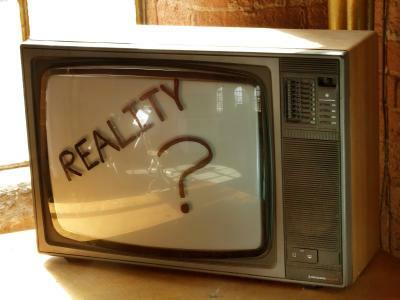 For better or for worse our lives and our relationships are largely shaped by television today, as we’ve unconsciously transformed from an industrial to a consumer society. We are now driven to support the industrial machine (do you remember Charlie Chaplin’s take on the factory in Modern Times?) by conspicuously consuming an increasing cornucopia of gadgets largely designed to fall to bits or to be upgraded after minimal usage. Is this in our long term best interests? I wonder about the relationship people have with themselves and their bodies and the effects of media on this. Young men trying to live up to steroidal, protein-drink-fueled over-muscled heroes of the screen and young women emulating anorexic, cosmetically-altered nymphs of modern television. And I wonder about the impact television has on our relationship with the planet. Time spent outside in nature by children of previous generations has been largely usurped by hours spent in front of the flickering tube, play station or computer screen. Young people are at risk of losing their innate connection with nature. Instead of feeling the pulse of the planet, the caress of the stars, the kiss of the sun; and hearing the whisper of the wind and the sweet melodies of the birds, young minds and bodies are bombarded with the artificial electromagnetic frequencies of modern technology. Instead of multigenerational conversations around the hearth, we’re now the recipients of one-sided opinions broadcast from studios to our homes, studios largely owned by a handful of power-hungry men. Enough of this rant. The sun is coming over the eastern hills and another glorious crisp autumn day is about to begin. 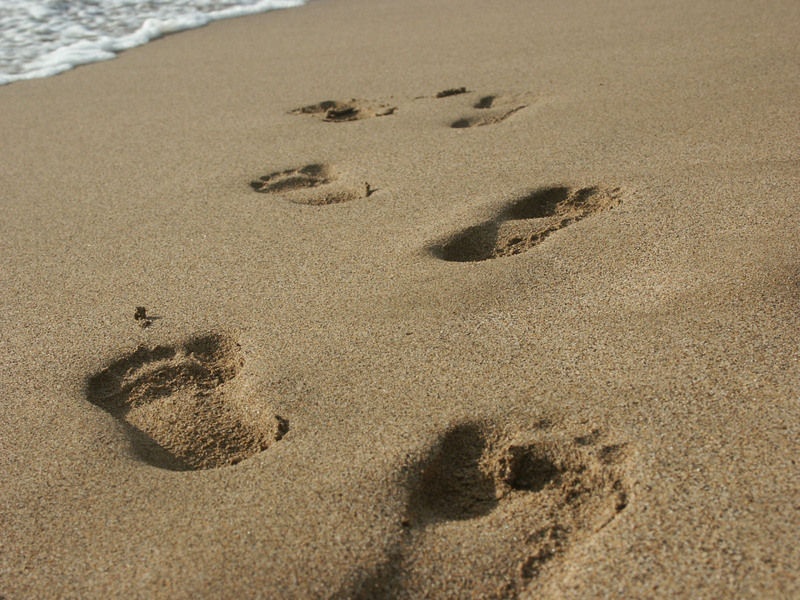 It’s time for a walk on the beach, to feel the sand between my toes, to imagine the planet pulsing under my feet. It’s time to look for some seaweed for the garden and to get ready for the next planting of shallots and winter greens. Life is good and the best of it is freely given by nature. Lucia and I still don’t have a television and it is extremely unlikely we ever will. In my work with the library the last few days I’ve had the pleasure of watching the latest theatre performance of the upper North Island Duffy troupe three times in three different country schools. The young performers, all in their twenties, Rob, Antonia and Rowan, display incredible energy, talent and sing beautifully. But, perhaps more importantly, they do a great job of engaging their young audiences in the play they present. Their theme this year is to encourage children to use their local public library—hence my presence at some of the shows. The gist of the current play – Duffy’s Book Bus Adventure – is this: Mr Barrier sets out to shut down the library service since it makes no money. However, the show’s hero, Duffy, and his mobile librarian friend, Awhina, pull out all the stops to ensure that libraries remain free and available for their community. Ultimately they engage in a debate with Mr Barrier and the school children become part of it, enthusiastically, I might add. I grew up in a home of book lovers. My mother was a school teacher who quit her work in order to raise my sisters and me. She and my father and my grandparents read to us as children. I have found memories of those times. My mother took me to the public library as a young boy. I recall coming home with armfuls of books, including many biographies of explorers and sporting heroes. My keen love of books was instilled at an early age and I’m determined to continue to encourage young people today to grow their minds through the printed word. And I take my hat off to the Alan Duff Books in Homes organisation and to the talented young performers who do so much to encourage children in low decile schools to develop the love of books and reading today. If you have not heard of Eric Whitacre before or heard his music, and if you love the sound of the human voice singing chorally then what is on offer below will amaze and delight you. I receive all the vitamins, minerals and nutrients I require for optimal health from the food which I mindfully ingest. Now, I find that a powerful antidote for any possible vitamin deficiencies. Thought is a remarkable tool when properly wielded. It reminds me of what Gentle World vegan community co-founder Light said to me a few years ago in response to a question I posed about vitamins. He stated that he expected to receive all the nutrients he would need from a vegan diet, so he didn’t supplement. He believes implicitly in the merits of a vegan lifestyle and figures that he will be supported in such a choice. It seems to work. He’s a vibrant, healthy man well up in his 70s and he’s been a vegan for over 40 years. All of the above ties in beautifully with the book I’m reading at present called The Healing Code by Alexander Loyd and Ben Johnson. More on that in a future post.